On November 24th, 2015, I was at the highest weight I had ever been as an adult. I was 140 pounds. I ran 6-8 miles a week. Did yoga 2 days a week. I was "eating all the right things" low fat meats, whole grains and veggies, yet my weight continued to climb. I had been this weight a couple times before. I always had to do something extreme to get my weight back down again. Exercise 2 hours a day. Severely cut back my calories. Drink those very not good tasting diet shakes. Be hungry all the time and lightheaded. My body fat was creeping up to the mid to high 30s. I was so frustrated with how I was considered athletic and healthy, yet my weight continues to creep up. Being the nerd that I am, i decided to do extensive research and see what current research, books and experts in the field have to say about all this. And I got my mind BLOWN. I was doing the exact opposite of what I should be doing. All the latest research was debunking all the traditional approaches to weight loss: exercising for hours, severe calorie cutting, and eating low fat and high "whole grain". So I developed a program and put myself on it. 2 1/2 years later, here are my numbers today. My weight certainly came down, but it wasn't a dramatic drop. But my body fat is cut in HALF! In November 2015 I was barely squeezing into an 8-10 jean. I now wear a size 2. I have 102 pounds of fat free body weight!!!! Almost half my body is composed of muscle! And forgetting all that, I have never had more energy, slept better, had clearer skin, in my life. I NEVER GET SICK. I haven't gotten a cold, the flu, not even a sniffle. I used to have almost daily headaches, daily severe fatigue int he afternoon. All of this gone. I used to have such severe drops in my blood sugar that I would have to carry food with me everywhere just in case I got a low. Those are completely gone. So let's go back to that scale. My weight has changed by 17 pounds. Not considered a huge change by any means to most people who need to lose weight. Most people would say "Only 17 pounds and you have been doing this a year and a half?! That's not enough!" I argue against that. Bottom line is, the scale is not a reflection of health. The scale tells you how much gravity is pushing down on you at that moment in time. That's it. If you took your weight on Mars, at that same moment, it would be different. Neither number says how healthy you are. There are millions of people who are considered "skinny" who are VERY UNHEALTHY. There are millions of people of average weight who are VERY UNHEALTHY. There are millions of people who are considered "overweight" who are VERY HEALTHY. That number is not a reflection of health, so let's focus on the other numbers and non numbers for this journey. Work on that body fat number. Work on increasing your skeletal muscle. Work on feeling more energy, rarely getting sick, and having endless energy. I created the Fire Team Whiskey Nutritional and Fitness protocols to help anyone struggling with their weight like I was to transition over 30 day periods to a healthier and healthier lifestyle. I also created them so you can follow this way of life in any environment, on any schedule. I am living proof, over 2 years later that THIS SYSTEM WORKS and it will result in long term continued improvements in your body composition and health. P.s. 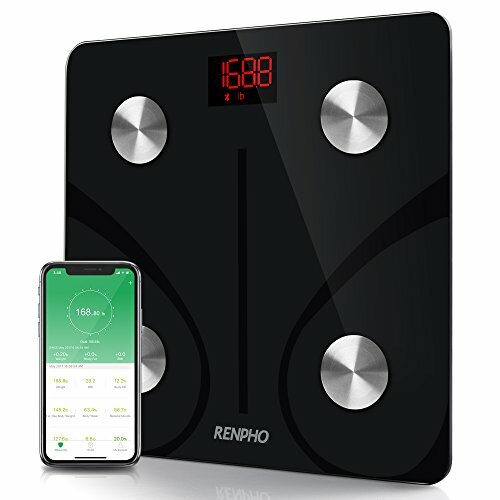 All our Fire Team Whiskey participants use the Renpho Bluetooth Body Scale. The link to purchase this scale is above.